The first time Doug Nicholl saw “Tetélestai,” a musical portrayal of the trial, execution and resurrection of Jesus Christ, he was so moved by the performance that he decided to audition for a role. Performed by Cleveland Performing Arts Ministries, “Tetélestai” will be performed at 8 p.m. April 18 and 19 at Royal Redeemer Lutheran Church on Royalton Road. “Tetélestai,” which translates from Greek to mean “It Is Finished,” are the last words Jesus spoke before dying on the cross. 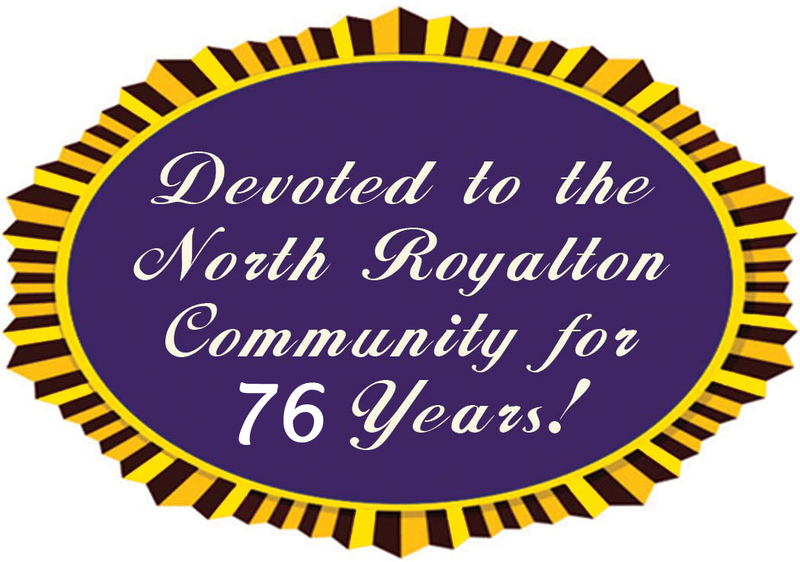 The inter-denominational narrated musical is a Lenten tradition for thousands and the all-volunteer cast and crew travels to where ever they are invited to perform the deeply moving production. Admission is always free of charge with a free-will offering accepted during each performance. “Tetélestai” was created in 1974 by Joel and Russ Nagy of Upper Arlington Lutheran Church. Years ago, as Nicholl sat in the audience watching the performance for the first time, the actor who was portraying Jesus fell down right at Nicholl’s feet as he carried a 125-pound cross down the aisle of the theater. The actor was performing the tradition of Jesus falling three times beneath the weight of the cross. In that moment, with the actor at his feet panting and crying out in mock pain and suffering, Nicholl was filled with the emotion and drive to audition for the cast. 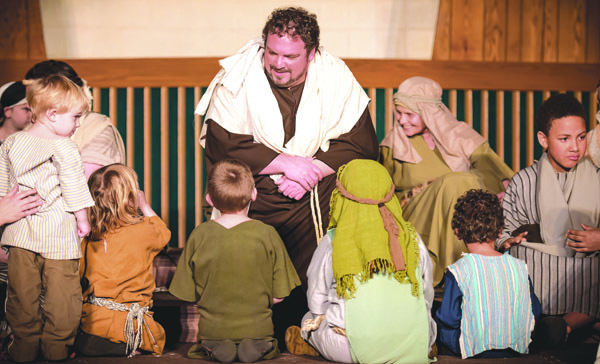 He’s now been with Cleveland Performing Arts Ministries for 13 seasons portraying Jesus and serving as Assistant Director, alongside his wife, Cyndie, the Director. Cyndie got her start in the production as an adolescent with her family. The production strives for authenticity, with a 125-pound wooden cross, stage props of nails and a whip, and theater blood used. Throughout the show, cast members will walk down aisle ways closely brushing past audience members. Nothing is left out of each performance and that includes the intense cries and wails of staged pain and raw emotions coming from actors portraying Jesus and other roles. Though vigorously rehearsed, Nicholl notes that the whipping scenes do often actually modestly hurt. Nicholl is raised more than 10 feet above the audience in the Crucifixion scene, but he doesn’t let his fear of heights hold him back. Audience members see every moment portrayed in “Tetélestai,” from Palm Sunday, the Last Supper, the Agony in the Garden, the trial, march, Crucifixion, burial and resurrection of Jesus Christ. More than 100 volunteers comprise the cast and crew and range in age from infants to older adults. The volunteers rehearse for eight weeks and then begin their touring performance season. They have a 500-mile traveling radius and have performed in Virginia, Illinois and other locations. Royal Redeemer is their last stop of the season. The production has scripted lines, narration, a musical soundtrack, stage lighting, a soundboard, full costumes, make-up and mics. The cast includes Jesus, the Apostles, Mary the Mother of Jesus, Mary Magdalene, Pontius Pilot, high priests, Barabbas, townspeople and guards. Nicholl alternates playing Jesus due to the physical and emotional toll it takes. During each production, audience members are encouraged to write intentions in a traveling prayer journal that is read aloud at the next performance so “at any time, you will have folks you don’t even know praying for you,” Nicholl said. Current prayer requests can be viewed on Cleveland Performing Arts Ministries’ website, tetelestai-cpam.org/. It will be the first time “Tetélestai” is being performed at Royal Redeemer, said Senior Pastor John Zahrte. The idea to bring the touring ministry to the church came from members of the congregation. Photo Caption: Actor Doug Nicholl portrays Jesus during a performance of “Tetélestai” performed by Cleveland Performing Arts Ministries. Nicholl alternates playing the role of Jesus with actor John Nagy. Photo by Veronica Rogucki.